Image resizer is the tool, which is very useful to crop, compress, shrink the photo or images as per requirement. Image plays an important role to express the thoughts. Basically, the question is, why image resizing is important and useful. As you know that a big size image occupies the large space and take time to upload or download the image through the internet. Resizer reduces, compress or shrink the size of the image in all respect and provide the fresh image with originality for use. Image resizer tools use to set the pixel, size, quality of photo also. This is the perfect free online tools to compress the image for social media like - Twitter, Facebook, Instagram. You can create the perfect cover photo for Facebook and these tools use ratios that keep resolution intact. This is the best option to resize the image without changing the colors, pixel, clarity. Image resizer tools provide assistance to users to prepare the picture printable by tune the dimensions. It is very painful for you to convert pixel to inches. You will be used the mathematical processors to convert numbers accurately. Second, you will be ensured the resolution setting. But so many image resizer do this work very quickly and adjust the dimensions of the pixel in the right way. They provide the picture for direct printing. You have to set the new width, height dimension and press the processing buttons. Why Image Resize Is Needed? Today is the digital yug of electronic media and everyone wants to work faster than others. But they do not want to resize an image without losing quality. Similarly, the image uses to attract the people and writer add the image to explain the content in one shot. The image makes the content more interesting and powerful. Today image is using on several platforms like - blogging, digital marketing, social media and on other electronic media screen. But the main issue come, when they use the high-resolution image on the above-given platform. They face several issues during downloading, uploading the image as well as opening the particular page of the website. So the owner uses the tools to reduce the image size of several formats like - JPG, PNG, GIF or BMP. To convert, crop and compress image by tools, You have to upload the image through your computer or URL and set the height, width, and resolution, now you have to press the action button. Your image will be resized as per your demand. So many tools are available to resize and compress image within a second. 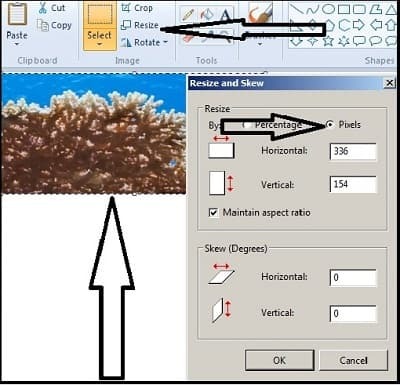 If you are using an advanced computer system, a very good option is available in paintbrush. You have to copy the image and paste on the page of the paintbrush. Now open the home option of upper bar and click on the resize button, a new small box will be opened there, just fill the exact pixels number in the horizontal box and then press ‘OK button. Your image has been resized to use for any purpose. You can also see the exact height and weight of image in the lower bar of a page like - “510 x 491px”. So many tools are available to resize the image online. They are very helpful and simple to use to create the image size as per your choice. I would like to share the tools, which are very authentic and easy to use. 1. ResizeImage.net - This device is useful and provide assistance to upload the image up to 100 MB. Crop the image in the normal and fixed aspect ratio. You can rotate the image, select the output image format and optimize your image with a normal and progressive option. 2. Picresize.com - You can directly upload the image through URL or computer option. They provide the option to select a single photo or bulk to resize the image. 3. ReduceImages.com - When you take the photographs from the camera or cell phone that will take a 10-megapixel photo. Each photo has 10 million pixels. That means you use 30 million bytes to store the photo. If you want to send this photo to your colleagues or friends, you will spend 30 megabytes data. To get the solution, use the ReduceImages tools. 4. Imagecompressor.com - These tools are using the compression algorithms to shrink JPEG and PNG to the minimum possible size. I used these tools to resize the image for my blog and I fill this is the best and very simple. Here you can set the listed pixel by a slider movable button after uploading the fils. 5. Iloveimg.com - This is another good tools. You will get all you need under this umbrella. They give the solution to compress, crop, convert to JPG, photo editor, watermark and rotate option for the image. All these tools are in working condition and available online. 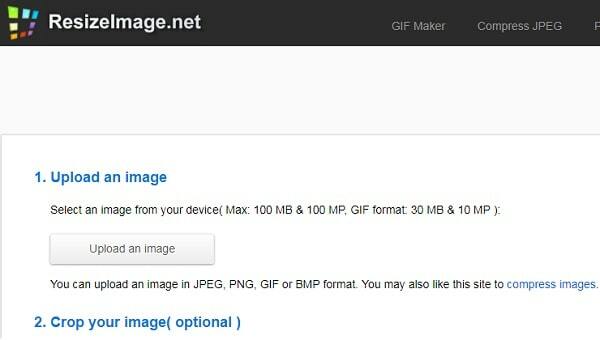 Maximum users use these tools to resize the image of the blog to reduce the loading time of the blog page. 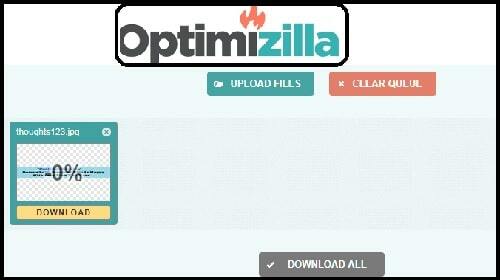 As you know that a big size image in pages creates a problem to download or open the page. Big image increases the loading time as well as bounce rate too. So, try to upload the image after conversion in the low pixel image.